Earlier this week, we shared that Google Glass Explorers were now able to invite three friends to also join the Explorer program. They had 14 days to submit the list of three names to Google and then Google would begin inviting those friends to the program. I am a bit surprised that those invites were already starting to be submitted to the friends, as of last night. 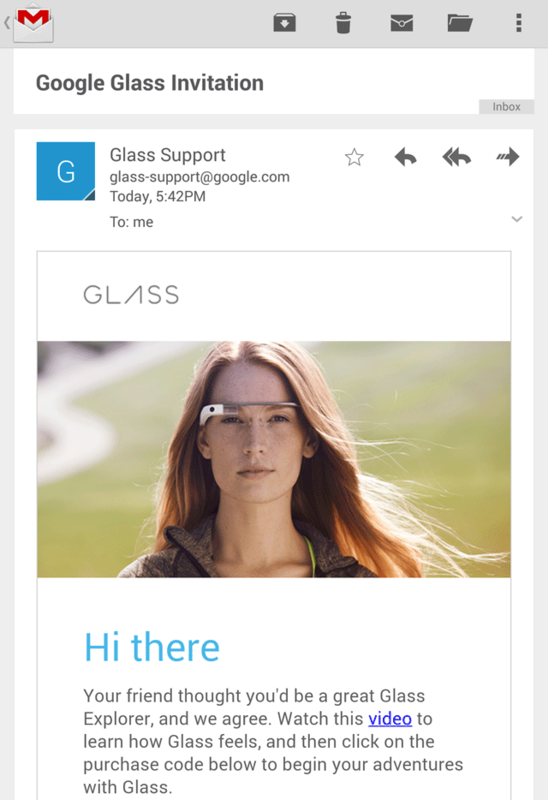 Some are reporting that they have received an email from the Google Glass team allowing them to purchase Google Glass. Here is a post in Google+ from Lucas Freeman saying he got his invite last night around 6pm. I suspect most did not receive the email from Google yet, but I expect those emails to start rolling out heavily over the next week or two.